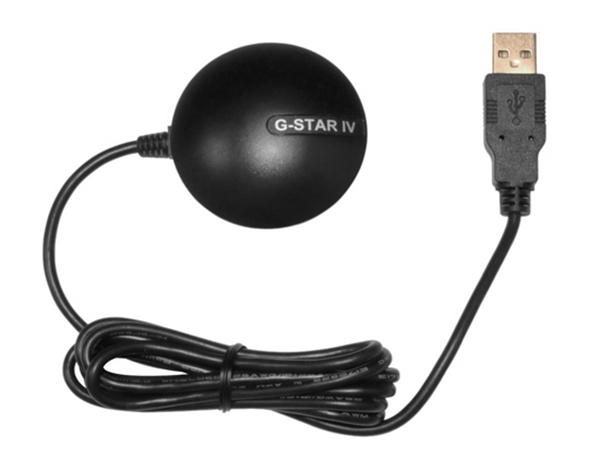 The BU-353-S4 is a USB GPS receiver that features a highly sensitive, low power consumption chipset in a ultra compact form factor. It is a new improved version of the bu-353. The BU-353-S4 is powered by a SiRF Star IV GPS chipset, and will provide you with superior performance in urban canyons, and in dense foliage. With the SiRF CGEE (Client Generated Extended Ephemeris) technology, has the capability of predicting satellite positions for up to 3 days in advance, and will deliver a CGEE-start time of less than 15 seconds under most conditions without any network assistance. The bu-353-S4's MicroPower mode allows the receiver to stay in a hot start-like condition almost continuously while consuming very little power. Dimension 2.08" diameter x 0.75"
(53mm dia. x 19.2mm) 2.08" diameter x 0.75"